Tempel ruin landscape in World UNESCO heritage sight. Located in southwest India, Karnataka is quite an underrated destination. 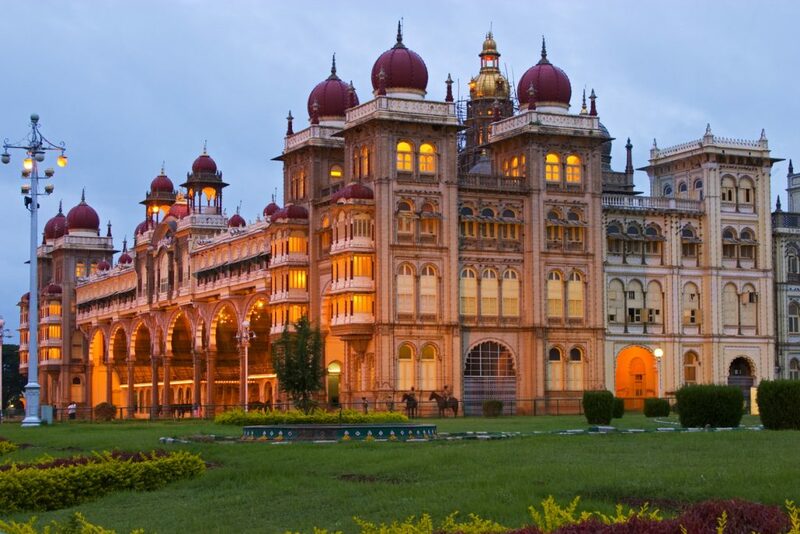 It’s capital Bengaluru (or Bangalore) is a cosmopolitan centre, and it has many popular places to see in Karnataka, such as the royal Mysore, medieval Hampi, and numerous natural sites. Stretching from Belgaum to the north to Mangalore in the south, Karnataka is a diverse state, with its own rich cultural heritage and historical treasures. Blessed with stunning beaches, fascinating architectural wonders and much much more, there are many places to see in Karnataka. Karnataka is very well connected to all the other Indian states. Here is how you can get to the state. Most people enter Karnataka through Bangalore, which has the bustling Kempegowda International Airport. Mangalore also has a major international airport. Other domestic airports can be found at Mysore, Hampi, Hubli, Belgaum, and Bijapur. Mangaluru also has an increasingly busy international airport and is a transit point for those going north to Goa, or south to Kerala. Hubballi, in central Karnataka, is a major railway junction for routes going into Maharashtra and northern India. Karnataka is well linked to the national rail network. Bangalore and Hubli have major rail terminals. The Konkan Railway connects Karnataka’s coast to Kochi, Goa, and Mumbai. You can also check out the luxury tourist train The Golden Chariot which covers many parts of South India and starts in Bangalore. The state has an excellent network of roads, and many National Highways connect it to the rest of the country. The Karnataka State Road Transport Corporation (KSRTC) also has buses that connect the state to other major cities and states. There are lots of amazing cultural and natural places to see in Karnataka. From glittering palaces to national parks and serene beaches, here are some of the places to visit in Karnataka. 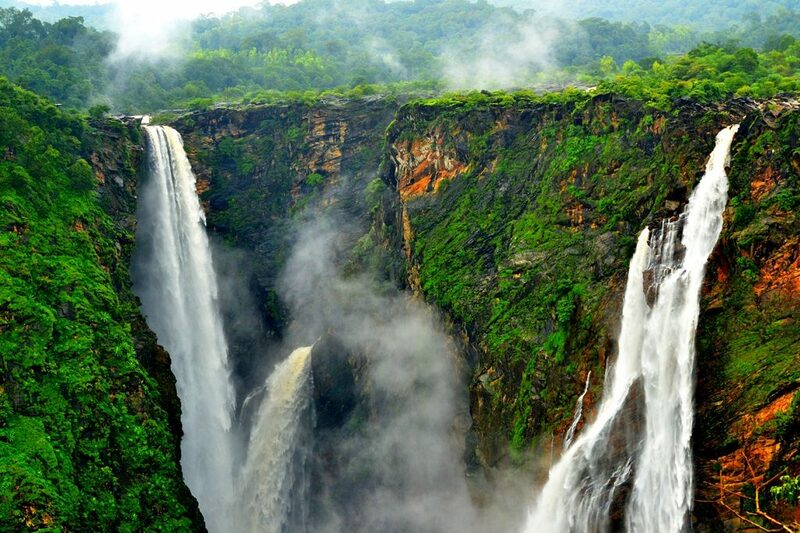 Jog Falls – located in the Shimoga District, it is said to be the second highest waterfall in the country and falls at a height of 830 feet. The Karavali Coast — Karnataka’s coastline is home to some truly spectacular beaches. 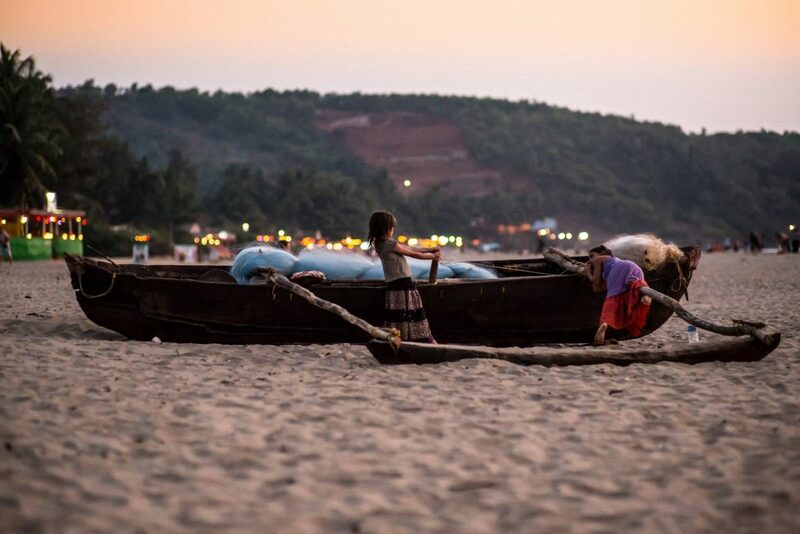 Don’t miss top destinations like Gokarna and Karwar. BR Hills — Located in the Western Ghats, this area is full of unique flora and fauna and is known for its scenic sights and trekking trails. Bheemeshwari – Located on the Kaveri River, this is the perfect place for adventure sports, like kayaking, rappelling, zip-lining, trekking, coracle riding, and even fishing. 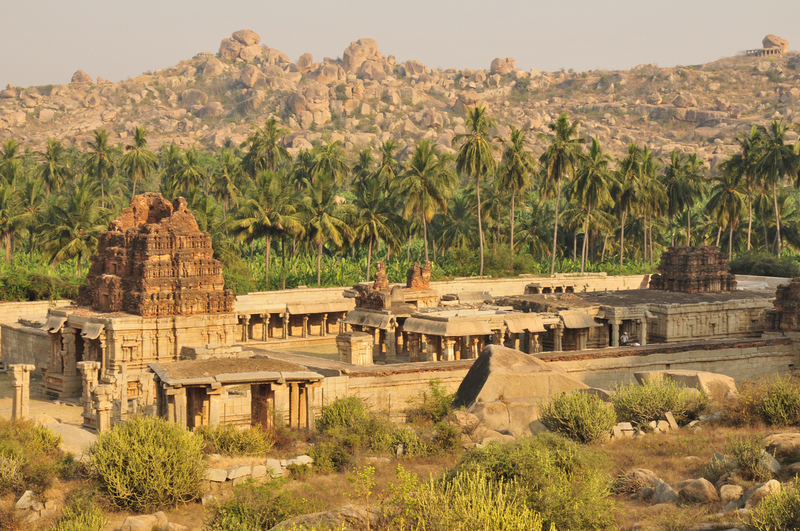 Hampi — This UNESCO World Heritage Site was once the capital of the medieval Vijayanagara empire and is full of majestic ruins of Hindu temples, palaces, and more that date back to the 14th century. Mysuru Palace — The sprawling and opulent palace was built for Krishnaraja Wodeyar IV in 1897 and is built in the Indo-Saracenic style, with Mughal, Hindu, Gothic and Rajput influences..
Belur and Halebidu — Located in the Hassan district, these towns are known for their temples full of intricate carvings that date back to the 12th century Hoysala Empire. Bylakuppe — The largest in South India, it’s home to Buddhist monasteries and temples all featuring the unique Tibetan architectural style. Shravanabelagola — It is home to the world’s largest monolithic statue, the 60-foot Gomateshwara Statue (or the Bhagawan Bahubali Statue) atop Vindyagiri Hill which dates back to 981 AD. Music, Art and Dance: Karnataka has a unique cultural heritage, and music and dance are a large part of this. 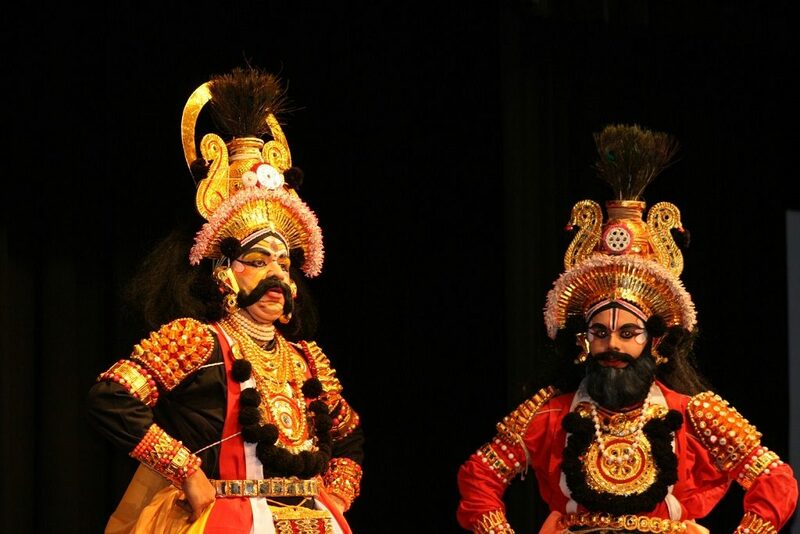 Some of these include Yakshagana, a mix of dance, music and dialogue, and Dollu Kunitha, a rhythmic dance that uses decorated drums. Local food: Karnataka boasts a very diverse cuisine. There are also iconic dishes, such as Bisi Bele Bhath, Mangalorean Fish Curry, Dharwad Peda, Mysore Pak, or the Mysore Masala Dosa. 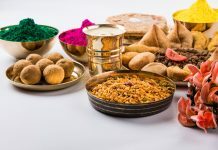 Celebrations and Festivals: Karnataka is also known for its vibrant festivals; most famously the extravagant Dussehra celebrations in Mysore, and Makar Sankranti in Kununurra. Karnataka enjoys pleasant weather throughout the year, but the summers (April to June) can get quite hot, with temperatures going up to 45C. This season is also quite crowded. Monsoon starts from June and continues till September, and sees temperatures between 23 and 28, and is the best time to visit waterfalls, plantations, and natural sites though it also sees bad weather along the coast. Winter (November to February) sees the best temperatures, between 21 to 32C and is the best time to visit Karnataka.